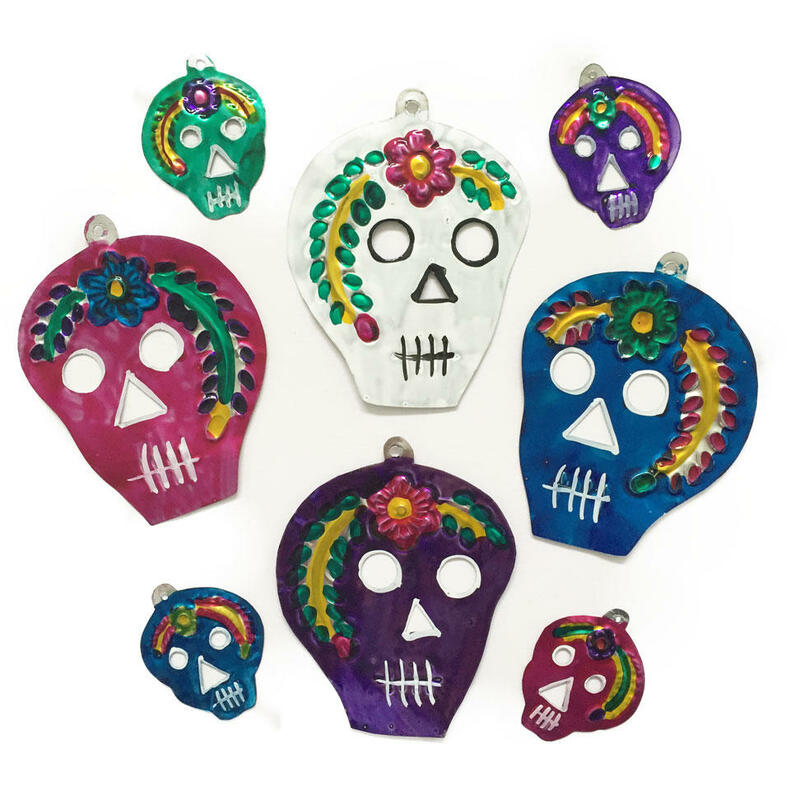 Mexican tin skulls, great for Mexican Day of the Dead celebrations or Halloween parties. You could also use these in jewellery or craft projects. Available in 2 sizes and 5 colours!